Biblical scholarship today is divided between two mutually exclusive concepts of the emergence of monotheism: an early-monotheistic Yahwism paradigm and a native-pantheon paradigm. This study identifies five main stages on Israel's journey towards monotheism. 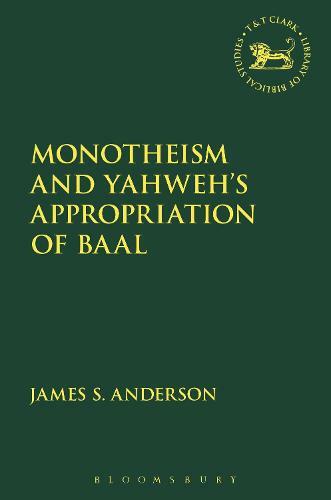 Rather than deciding whether Yahweh was originally a god of the Baal-type or of the El-type, this work shuns origins and focuses instead on the first period for which there are abundant sources, the Omride era. Non-biblical sources depict a significantly different situation from the Baalism the Elijah cycle ascribes to King Achab. The novelty of the present study is to take this paradox seriously and identify the Omride dynasty as the first stage in the rise of Yahweh as the main god of Israel. Why Jerusalem later painted the Omrides as anti-Yahweh idolaters is then explained as the need to distance itself from the near-by sanctuary of Bethel by assuming the Omride heritage without admitting its northern Israelite origins. The contribution of the Priestly document and of Deutero-Isaiah during the Persian era comprise the next phase, before the strict Yahwism achieved in Daniel 7 completes the emergence of biblical Yahwism as a truly monotheistic religion.